Toronto, ON 5:30 pm – 9:00 pm. 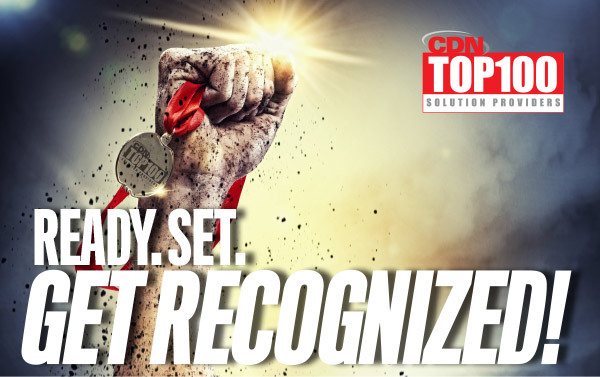 The Top 100 Solutions showcases a “who’s who” within the solution provider industry across Canada — imparting brand recognition and credibility to companies that make the list. Each year, close to 200 of Canada’s leading channel professionals come together to celebrate the growth and accomplishments of solution provider companies. • Highest Ranking Solution Provider in Western, Central, and Eastern Canada. All attendees receive exclusive access to a joint IDC and CDN Cloud Report and a benchmark report based on the findings of this year’s applications to the list.